A gorgeous candle lantern in an antique grey, perfect for vintage themed weddings, events and home lighting. Or to add a more decorative display, why not show off your artistic flair and use for a beautiful floral arrangement! 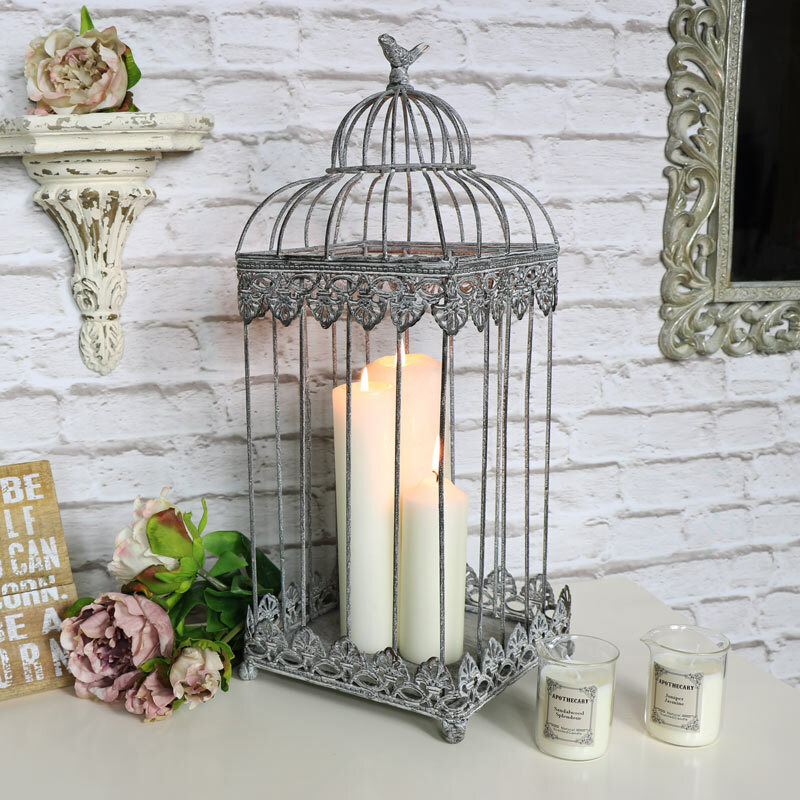 A pretty way to light up the night with our stunning bird cage candle lanterns. Large enough to display more than one candle at a time to add a little more lighting, the ideal size for pillar candles. In a square shape with domed top and little bird perched atop. This lantern also features filigree patterning surrounding the latner on the top and bottom with rounded feet. A gorgeous candle lantern in an antique grey, perfect for vintage themed weddings, events and home lighting. Or to add a more decorative display, why not show off your artistic flair and use for a beautiful floral arrangement! 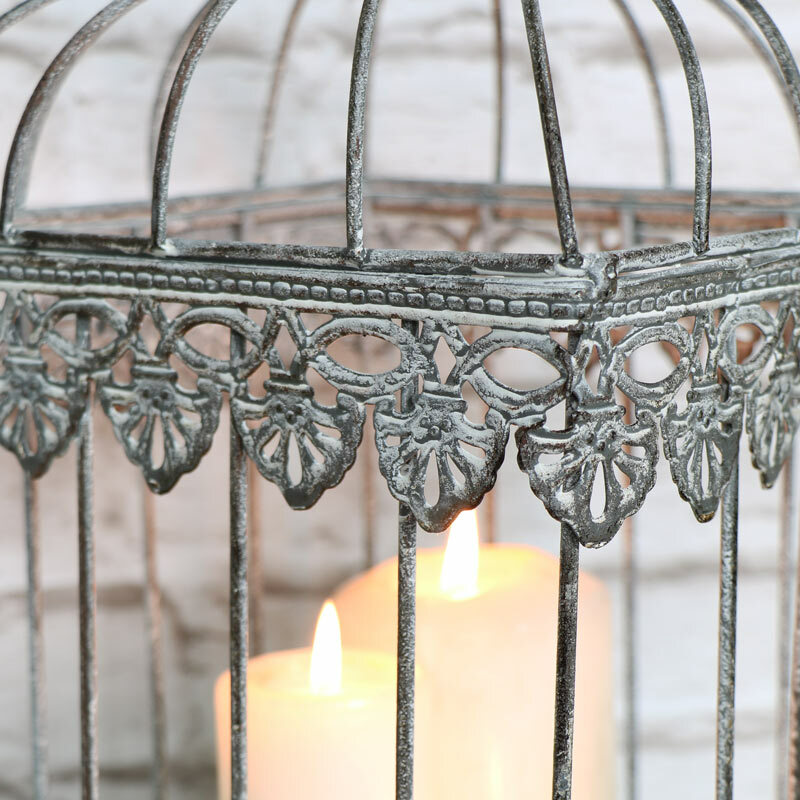 A pretty way to light up the night with our stunning bird cage candle lanterns. Large enough to display more than one candle at a time to add a little more lighting, the ideal size for pillar candles. In a square shape with domed top and little bird perched atop. This lantern also features filigree patterning surrounding the latner on the top and bottom with rounded feet. 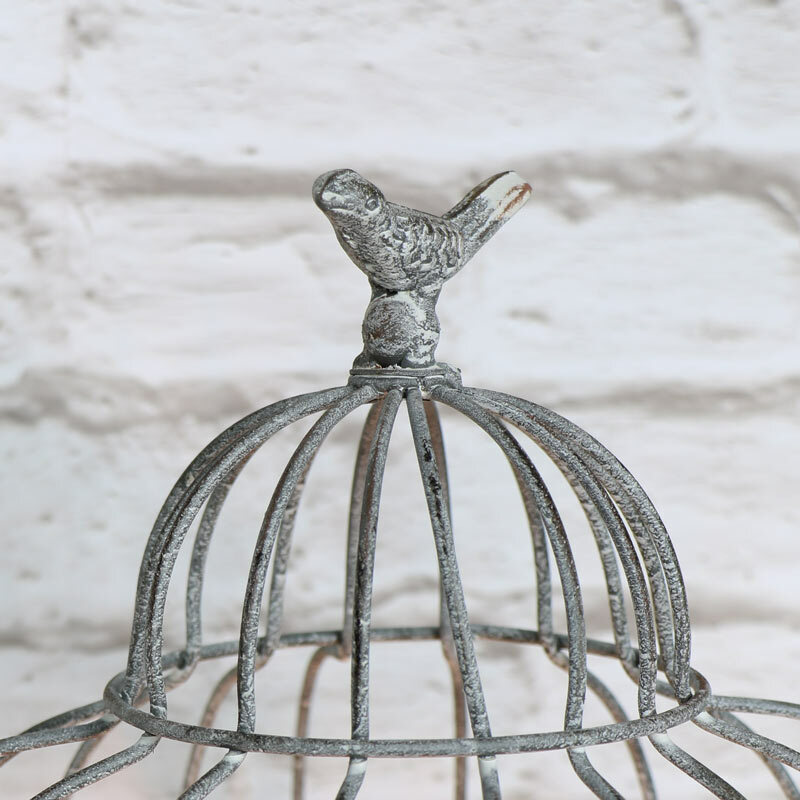 Cleverly made from metal and finished in an antique grey distressed finish. The top lifts off to leave the base, allowing you to replace your candles with ease. 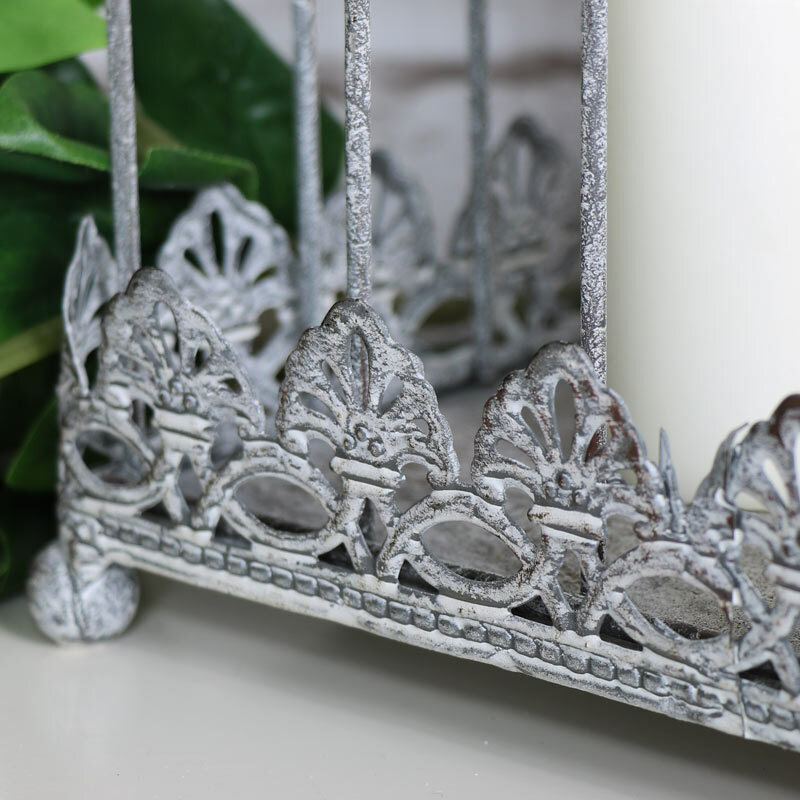 This is ideal for helping to create a shabby chic theme to your home. We also have this lantern available in a smaller size and if you're looking for a more delicate theme, we have more lanterns for you to look at, in various colours, sizes and styles.